Not only are we travel writers living here in North Carolina, but we’re also parents. And while raising our little one, one of the most important things we keep hearing is to not lose the reigns on our marriage. So, that’s why we’ve started implementing “Day Dates.” Also, because it’s much easier for us to snag a morning or afternoon babysitter. And since Raleigh is a spot filled with romantic places to visit, we thought we’d share a few with you here. To keep things romantic, we even paired these fun day date things to do in Raleigh like wine and cheese as opposed to sippy cups and Daniel Tiger. Want to do more than a day date in Oak City? Check out our section dedicated to Raleigh in more detail. If you’re looking to spend the night, check here for the best prices and availability on places to stay in Raleigh! Ready for a Day Date in Raleigh? We always try to mix a bit of culture in before moving straight to the booze. That way, you can’t judge us and we can feel a bit more enlightened while sipping. Contemporary art and innovative experiences await as you and your partner stroll through CAM Raleigh. Highlighting non-traditional exhibitions by living artists, the works at CAM are relevant to today’s issues and thought-provoking. One fun exhibit honored various basketball players from the 1990s, which was exciting for my millennial husband. Since this is a non-collecting museum, every visit is going to bring you something new to experience and discuss over drinks. CAM featured among the best of our state in this guide to North Carolina’s awesome museums! And speaking of drinks, we think that a visit to CAM pairs very nicely with some whiskey! 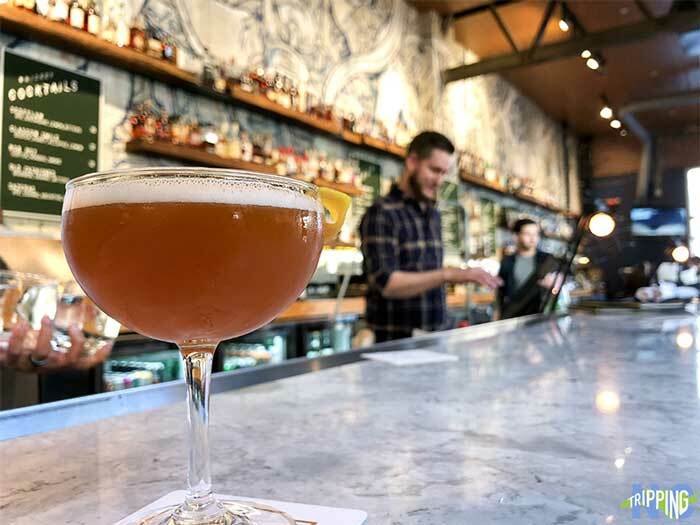 Whiskey Kitchen is a modern nod of the head to prohibition. Here, the bartenders shaking and mixing are (dare I say?) some of the best in Raleigh. 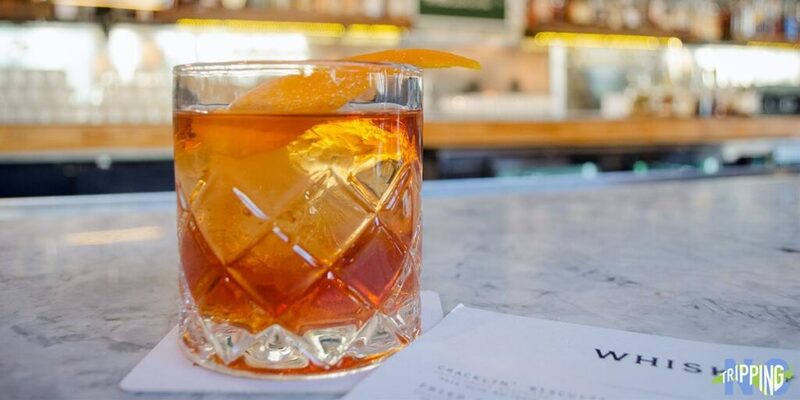 Whether you choose to go for a whiskey flight to slowly sip and notice subtle differences or have the best Old Fashioned in your life, Whiskey Kitchen is the place to be. And don’t forget about the food, either. We choose to get a selection of small plates to share because to us, that feels more romantic. 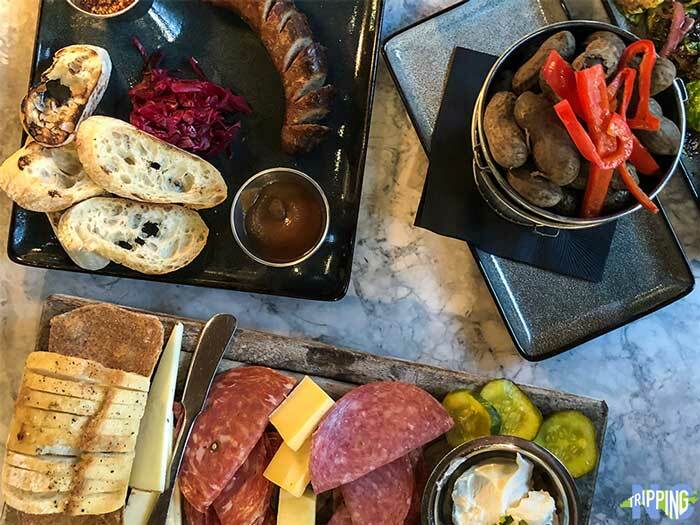 Pro Tip: Going at our own pace while sharing the Chef’s Board and some Boiled Peanuts is the perfect way to reconnect and enjoy each other. Don’t eat too slowly, though, if you want that last piece of Firsthand Foods sausage! Soak up some culture and delicious Laotian food on your date when you play hooky from work and the kids are in school. 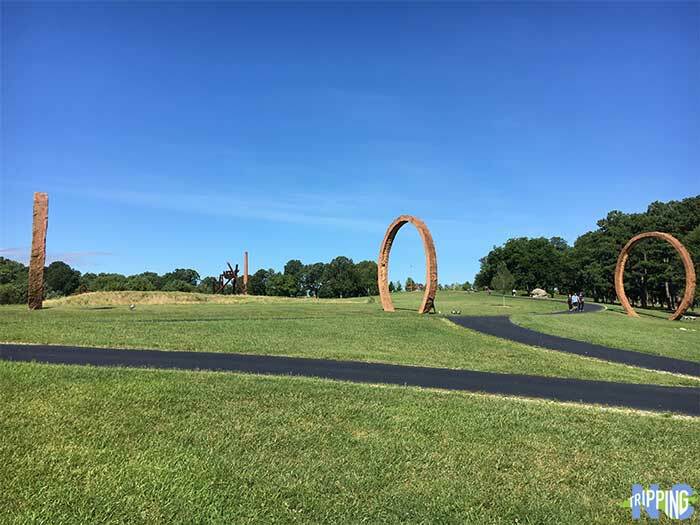 Romantically stroll along the outdoor exhibits at the Ann and Jim Goodnight Museum Park or enjoy one of the permanent galleries. Incredible special exhibitions such as You Are Here, Ansel Adams, and Georgia O’Keeffe represents a few past examples. Honestly, exploring the North Carolina Museum of Art’s halls is one of our favorite winter things to do in Raleigh. NC Museum of Art is not only a great way to explore Raleigh, but we also included it among these other awesome winter things to do in all of North Carolina! 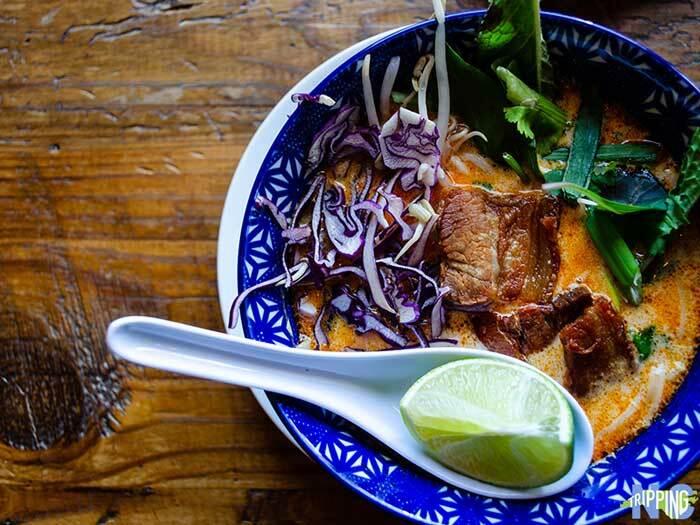 After browsing the collections, head into the heart of Downtown Raleigh for your lunch reservation at Bida Manda, a taste of heart and soul from Laos. Meaning mother and father in Sanskrit, Bida Manda is a place where you feel instantly at ease. With incredible attention to detail and obvious passion in every plate, a meal at Bida Manda is a place where you can reconnect and reignite. Especially over a bowl of their Pork Belly Soup! They are happy to split bowls, so no one is fighting over noodles. Visit Raleigh’s Five Points for incredible brunch cocktails and lattes at Hummingbird. After that, skip on over to Lynnwood Brewing Concern for brews and games. Both are housed in the same building, making them perfect additions to our “day date things to do” list. Pull up a bar stool at Hummingbird and enjoy the light streaming through the big industrial windows as you fight over one of their incredible sticky buns. Seriously, the bourbon in the caramel sauce still wakes me up from the Baby Shark lyrics I occasionally mutter to myself when sleeping! 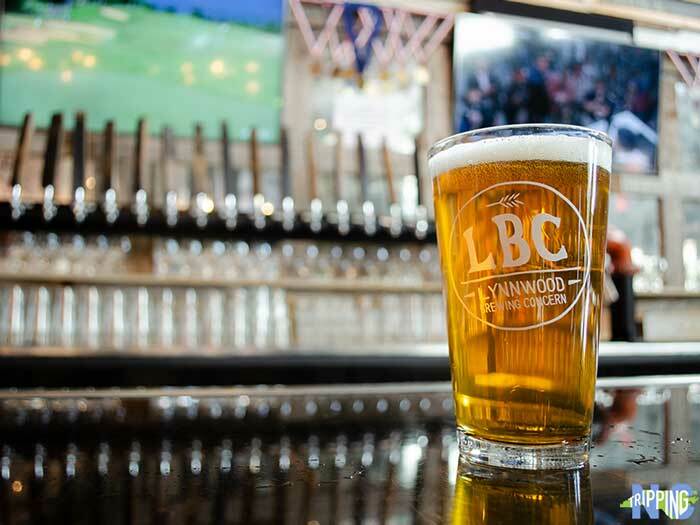 With over 15 years of quality craft brewing, Lynnwood Brewing opened their second production location on East Whitaker Mill Road. Sip on delicious, prize-winning beers with questionable names that might make you giggle. For example, there’s the clever “Once You Go Black IPA” and “Kiss My Irish Stout” that got both of us hooked while visiting. You could also mix things up a bit with food at one of Raleigh’s coolest places to sample various dishes before getting interactive at a museum. Or, switch things around and learn first before digging in. Either way, this is a cool combo! 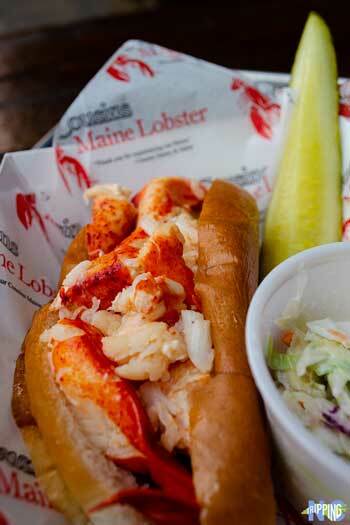 Cousins Maine Lobster is a no-brainer! Raleigh Rolls for dessert and FTW! At Morgan Street Food Hall, you can pick and choose different meals from a variety of vendors. Walk in the door and head straight to the bar for a drink while you browse each food vendors menu. Pick up a romantic arrangement of flowers from Fleurs de Moufette and truly date each other as you did in yesteryears! 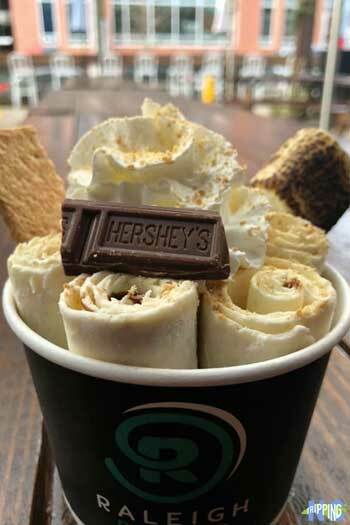 Come hungry and be prepared to have multiple courses and of course, leave room for dessert! Lafayette Village has quite a few great candidates for day date things to do in Raleigh, so it was very tough for us to narrow down our choices. For this guide, we picked Zanyu Noodles and Vinos Finos. That way, you can travel to Asia through an authentic noodle shop and sample the best selection of South American wines. Now, isn’t that romantic? 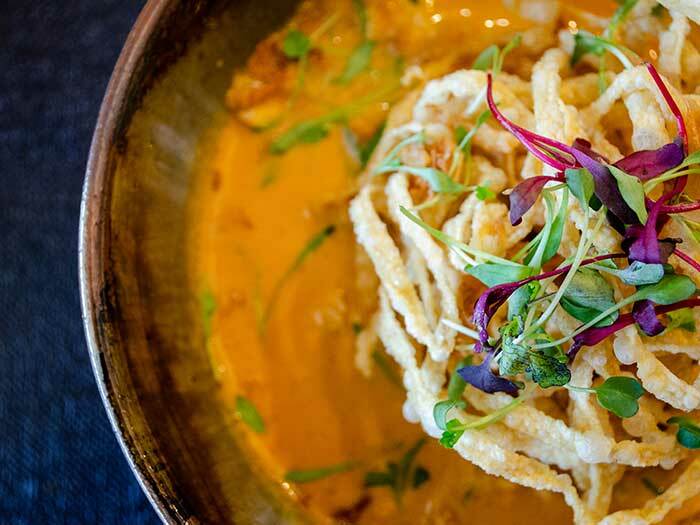 Zanyu Noodles might refer to itself as fast-casual food, but we think exploring flavors from Southeast Asia can be a fun day date activity in Raleigh. Chef Michael Bongiorno packs spice, flavor, and love into his dishes and you’ll come away thinking the same after sampling them. Dig into any of their noodle dishes (especially Khao Soi), but don’t miss out on their amazing Pork Belly Buns with marinated cucumbers. 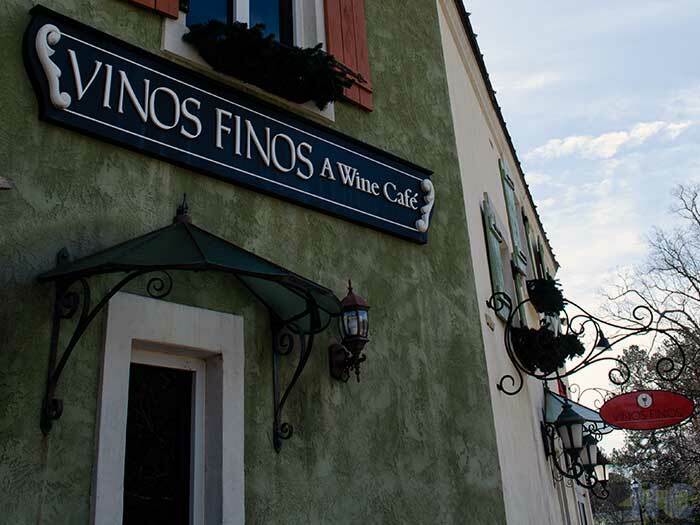 Vinos Finos will give you the perfect wine fix, with over 350 bottles available by the glass, bottle or case. You can also pick out a bottle for later, in case you try something that you love—highly likely. The cafe is South American-inspired, so they also serve charcuterie, Argentine empanadas, and desserts. We also mentioned these two places in our homage to the foodie paradise that is Lafayette Village. 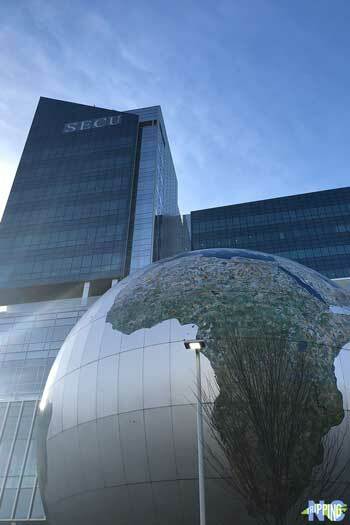 While the NC Museum of Natural Sciences is most certainly a place to take your kids, we’ve found that it is also a fun place to slowly stroll together and talk. When we take our toddler, it’s often at her lightning-fast pace. So, getting to stop and read the signage in the exhibits or take part in the interactive experiments never happens. 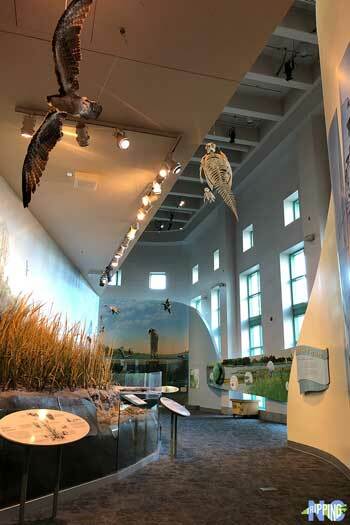 Want to know what the best part of the Museum of Natural Sciences? It’s free! The NC Museum of Natural Sciences is also mentioned in our guide to Winter Things to Do in Raleigh! What’s says romance more than chocolate, arcade games, and delicious craft beer!?! All within steps of each other in the Warehouse District, you can make the most out of your time with all three places. We suggest that you start at Videri for a cappuccino from the coffee bar. Then, stroll through the factory watching as the experts work. After learning about chocolate, stop by the counter and pick out an assortment of truffles to take home with you to enjoy once the kids are in bed! Make a right and share a flight of beers at Crank Arm Brewing. The Award-Winning brewery is small but packs a punch. With options like their most popular Whitewall Wheat or our favorite, the seasonal Holy Spokes habanero porter, you’ll definitely notice a bicycle theme. It’s not uncommon to see a fleet of cyclists outside sipping on a Rickshaw Rye IPA after a grueling ride or to meet new friends at one of their Tuesday cRUNk Club or Wednesday Bike Rides. 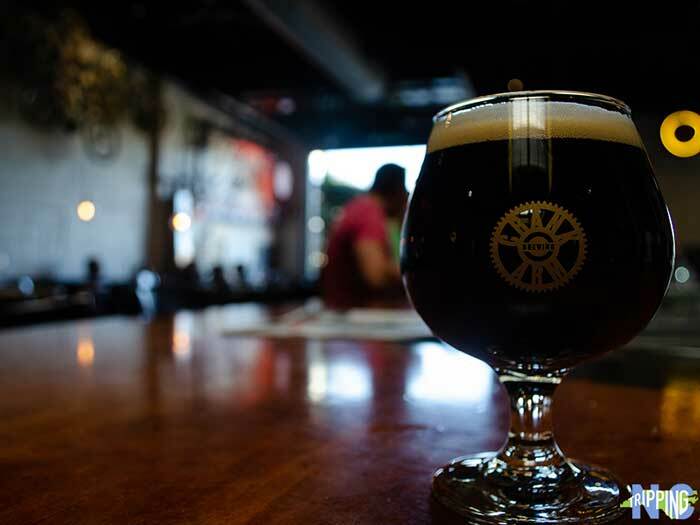 Crank Arm Brewing and Lynnwood Brewing Concern made our list of favorite North Carolina breweries. What else made the cut? 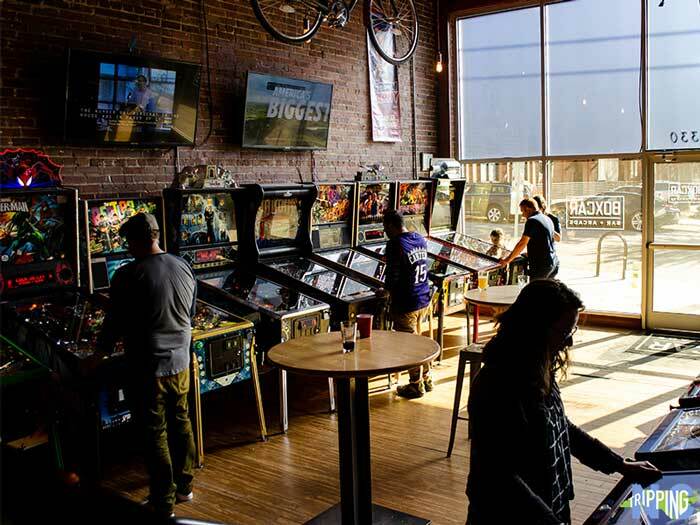 Bonus: We can’t leave out Boxcar Bar + Arcade because it’s right around the corner from these two, and a great way for you and your partner to connect. They have tons of games, but also a full bar that’ll serve up just about any concoction you can name! Looking for more day date things to do in Raleigh? Check out these fun ideas! Alamo Drafthouse is a dine-in cinema with incredible drinks, food, and comfortable reclining chairs! Definitely order the “Royale with Cheese” and a “Mayberry RFD” Cheerwine milkshake! A Taste Carolina Gourmet Food Tour is the BEST way to eat through a new city. It’s also a fun alternative if you want to experience a lot of different restaurants without having to shell out a ton of money! Come on. Admit it. You’ve seen the Trolley Pub ride by and you’ve always wondered if they are REALLY pushing it by pedaling! Why not see for yourself! Get to know the pubs of Raleigh and some new friends with this fun “pedal-powered” pub crawl! Even if you don’t have kids, we think these pairings are a great way to enjoy Raleigh your significant other while it’s still light outside. We hope you get a chance to try them soon and we’d love to know your thoughts on our choices. If you’re familiar with Oak City, what would you add to this list of day date things to do in Raleigh? This guide is part of our series on Raleigh and the Piedmont, where we’ve covered spots to explore in Raleigh, nearby Durham, Charlotte, Greensboro, and more. This entry was posted in Travel and tagged Raleigh, Wake County.